How do you get people to work harder while staying enthusiastic? If you guessed money, advancement and competition, perhaps at one time you might have been right, but ever since social innovation became a big business and conscious capitalism became our new norm, what drives people today is all in a mindset. Welcome to the Purpose Age, where booming economies are created geared toward doing good for personal, social and societal purposes. At its core, purpose drives people because none of us likes just “doing stuff” over and over again. That’s how we get “this isn’t my job” responses from employees who refuse to do more than what they’re paid to do. So getting people to go above and beyond for your company, put in the extra hours when the business is going through tough times, yet stay motivated and enthusiastic is no easy feat. But more than money or promises of advancement, purpose-oriented people are said to outperform those driven by any other measure. Doing good also keeps talent more fulfilled and satisfied at work, so not only are they productive and engaged, they also tend to stay at jobs longer than people who aren’t purpose-driven. Compared to non purpose-oriented employees, those who are purpose-oriented have 64% higher levels of fulfillment, are 50% more likely to be in leadership positions and are 47% more likely to be promoters of their companies. Yet, according to our 2016 global study on the role of purpose at work, only 30% of the U.S. workforce reports feeling engaged, enthusiastic and committed to their work. Once companies caught wind of how social impact became such a thriving business, purpose became all the rage. Patagonia built an entire business on not just selling great products, but also fueling employees to be activists for environmental issues. Purpose-driven pioneers, like Whole Foods Market’s John Mackey and Virgin’s Richard Branson, “raises the bar for the business community and turns successful theories into movements,” writes Aaron Hurst in his 2014 book, The Purpose Economy. 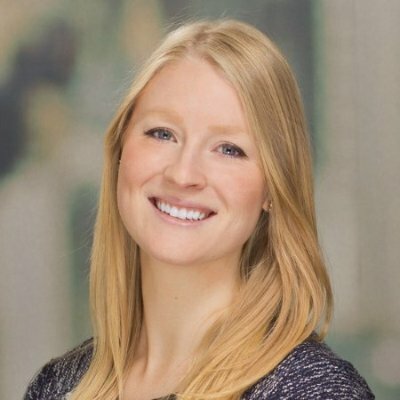 Why should other companies care what “do good” companies are doing? Just take a look at their financial statements. In the past three years, purpose-driven companies saw 85% growth in their revenue, according to recent research from the EY Beacon Institute and Harvard Business School. 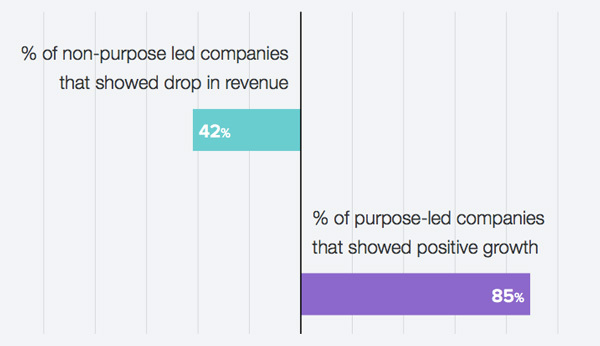 On the other hand, 42% of companies with no purpose, or that can’t articulate their do good mission, showed a drop. 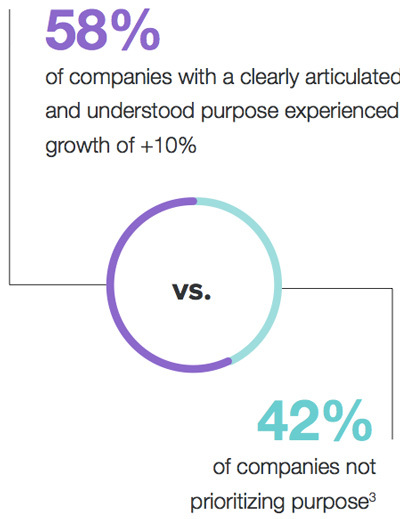 Once you identify your purpose, clearly communicating it is also beneficial: 58% of companies that clearly articulate their purpose saw growth of at least 10% in the last three years. Think through your mission and vision. Do you have an impactful goal your team can work toward? In his book Drive: the Surprising Truth About What Motivates Us, author Daniel Pink suggests there are three types of purpose: personal, social and societal. For businesses today, it’s the societal purposes you should be aiming for, that is, the need to do something beyond what’s beneficial just for yourself. Why does your job matter? Write these things down and identify common denominators. Encourage talent to identify what drives and motivates them. Train managers to have thoughtful discussions with employees on how their roles coincide with the company’s mission and purpose. Remember that companies able to clearly articulate their purpose saw significant growth in their bottom line, so once you’ve woven purpose into your talent initiatives, share broadly. Build purpose messaging into your employer brand to attract candidates that align with your organization. Make sure your website clearly communicates your purpose, as a company’s values, mission and visions are the first things potential candidates look for when they visit your company’s careers page. Lastly, don’t forget to continue reminding the public on your purpose, like Patagonia did when it produced an inspirational 30-minute film called the Worn Wear, which reminded the world not be wasteful. Or the company’s other short film showing how it takes some of the pressure off of the planet by using reclaimed wool, cotton and down. When you’re a purpose-driven company, everything you do is purposeful—even when it comes to creating new roles. Jonathan Campbell, founder and CEO of the behavioural learning platform Social Talent, writes about a trick he uses called the “5 Whys” every time he considers bringing on a new hire. Instead of focusing on the responsibilities of the job, Campbell suggests asking yourself: Why this person is being hired? Why does this role exist? Why do we need that department? Why do customers value this? What does this allow your customers to do now or do better? If you can’t answer these questions, then Campbell says the job you’re recruiting for probably doesn’t have enough purpose and isn’t needed in your company. To attract purpose-driven talent, first have the right kinds of job ads. Campbell suggests leading with a story that highlights your company’s purpose at its core. Next, when reaching out to a passive candidate, bring purpose into your messaging. For instance, consider asking the candidate questions like “Are you interested in helping other people to find their dream job whilst earning enough money to put your kids through college and live in your dream home?” early on. Finally, don’t forget to share your employee’s purpose stories on your careers page to further solidify your purposeful brand. Want to learn more about meaningful work? Check out our 2016 Purpose at Work report.